The first year we acquired a flock of hens I was shocked to learn the true cost of raising chickens for eggs. Over the course of twelve months we ended up spending $0.65 apiece for those home grown eggs. Not $0.65 a dozen. $0.65 for each. darned. egg. I learned a few very valuable lessons that first year. Mostly, the importance of keeping good records of expenses vs. production on a homestead. You must know how much something is costing you in order to make good money decisions moving forward. Otherwise this homesteading thing could very well outgrow your budget. You’d think simple living would automatically save you money. Not so, my friend. Not so. Over the past few years we’ve had to do a lot of tweaking and experimenting to bring our production expenses down. Raising chickens has been a costly endeavor. If we could go back eight years and apply what we know now to our flock management, we could have saved a ton of money. The good news is I can at least share what we’ve learned with you so that you don’t have to make the same mistakes we did. So friends, here’s my advice. 1. Free range your flock as much as possible, as safely as possible. In the beginning we got the free ranging thing right. We let our hens roam our entire property, allowing them to scratch and forage to their heart’s content. The great thing about free ranging your flock is that they are able to get a more natural diet, making the chickens and their eggs healthier, while also cutting down on your feed costs. Quite unfortunately, however, predators abound. It wasn’t long before we had all kinds of drama with neighbor’s dogs killing our chickens. This happened on way too many occasions. And of course there were foxes, opossums, weasels, baby chick eating snakes, and hawks. Even our own dogs killed a few of our hens, for goodness sake. We quickly realized that there was no safe way to completely free range our flock without a chance of them being eaten. We had to fence them in somehow. The loss of a full grown hen will set you back $10-$20 per bird, depending on what you’ve invested in them. To walk out of your house and discover a dozen mangled bodies littering your yard is not only heart breaking, it’s a hit to the wallet as well. Something to keep in mind. Free ranging doesn’t have to mean ‘completely free to roam wherever they want all the time’. You might not want chicken poop on your front porch. That’s okay. Redefine what free range looks like to you. It might turn out that free ranging means allowing your hens to freely forage within a certain fenced in area. Cool. Do what works best for you. My suggestion would be to fence in as much of an area as possible (yard or woods, or both) to allow your chickens foraging space. They absolutely love digging in leaves and soft dirt where bugs can easily be found, if you have such a place for them. Wire fencing from a farm supply store is the least expensive fencing option we’ve found. I would not recommend chicken wire, it’s a stinking pain to deal with. The holes in the fence just need to be big enough that a fox can’t get in and full grown hens can’t get out. Baby chicks will still be able to scoot through larger holes, but mama hens are very good about calling them back in to stay close. If you’re raising chicks without a mother you might make a small chicken tractor to move them around in (in this case using chicken wire so they can’t get through) until they’re big enough to stay in a larger fenced in area without escaping. Of course, if you live out in the open prairie with no woods and no houses for miles and miles, you might only need to worry about providing shelter for the chickens to hide under when predatory birds fly over. Adapt this advice to your particular situation. If you have absolutely nowhere to free range your birds other than perhaps a small chicken run, consider building a raised bed within the run and planting it with grass or clover. Put wire over the top of the bed so the chickens can’t scratch it all up. This will allow the plants to grow and the chickens will be able to enjoy the fresh greens growing through the wire on top. 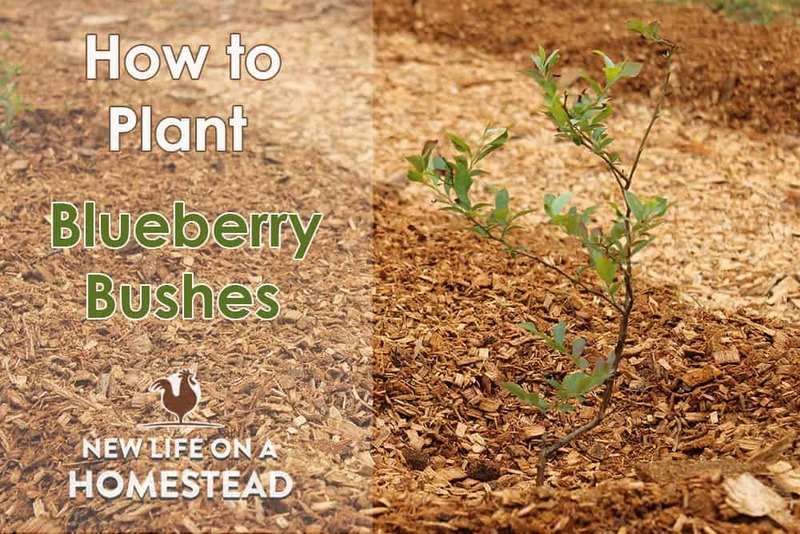 You could also plant blackberries, raspberries, or grapes to climb the chicken’s fencing, creating a beautiful cover of shade during the hot months and also providing forage when the berries drop. Free ranging your flock (or providing forage) will definitely save you a lot of money in feed. 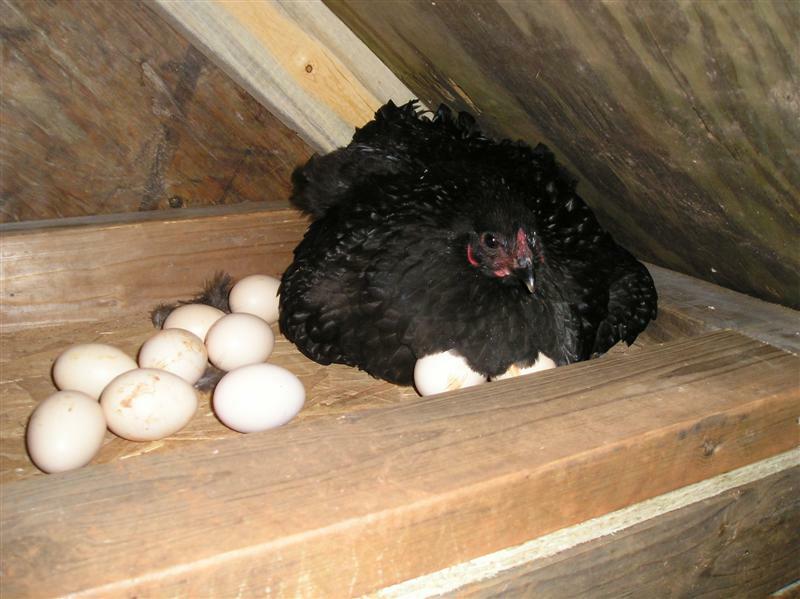 Just make sure you protect your chickens from predators to avoid unnecessary, costly losses. 2. Feed your flock lots of scraps. Chickens can eat all sorts of leftovers from your table as well as garden scraps. This is another really great way to supplement your feed costs. Take a look at the list I posted on What Chickens Can Eat, and What They Can’t to see what’s okay to feed from your leftovers and what should be avoided. By the way… chickens can eat cooked chicken. I know that sounds wrong on so many levels, but it’s true. They’re total cannibals. Make a bowl for leftover foods to be scraped into throughout the day, and toss them to the chickens before dark. If you aren’t shy about it, start a scrap food bowl at the next potluck you attend. (I totally do this every Thanksgiving!) When you’re working in the garden pulling up weeds or disposing of rotten produce, toss those to the chickens as well. They’ll love it. Stop throwing leftover food and garden scraps away and turn them into free chicken feed. 3. 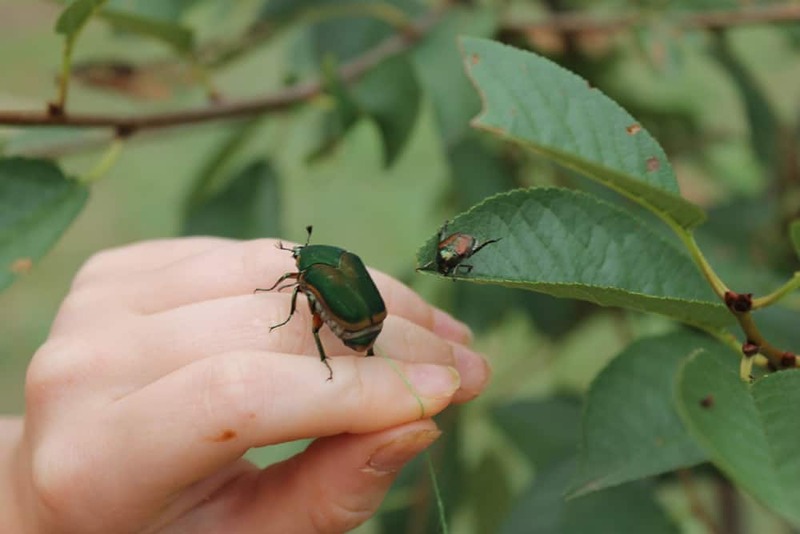 Collect bugs for your hens. Bugs provide excellent protein for laying hens, which is necessary for good egg production. Every June we’re plagued with swarms of Japanese Beetles and June Bugs. So far the best method I’ve found for controlling the damage they do to our roses and grape vines is to hand pick them off one at a time. We hold a bucket of water underneath one of the beetles, and then touch the bug to make it drop down into the container. Once we have a large collection of desperately swimming critters, we dump them out onto the ground in the chicken run where the hens go crazy in a feeding frenzy. We also throw any grubs we find into the chicken run. If we can catch the beetles in the grub stage when turning over the garden it helps mitigate the damage done when they reach the adult/mating stage. If there are certain pests that abound in your area, try catching them and feeding them to your hens. Watch to make sure the hens will actually eat them before you offer a bunch. 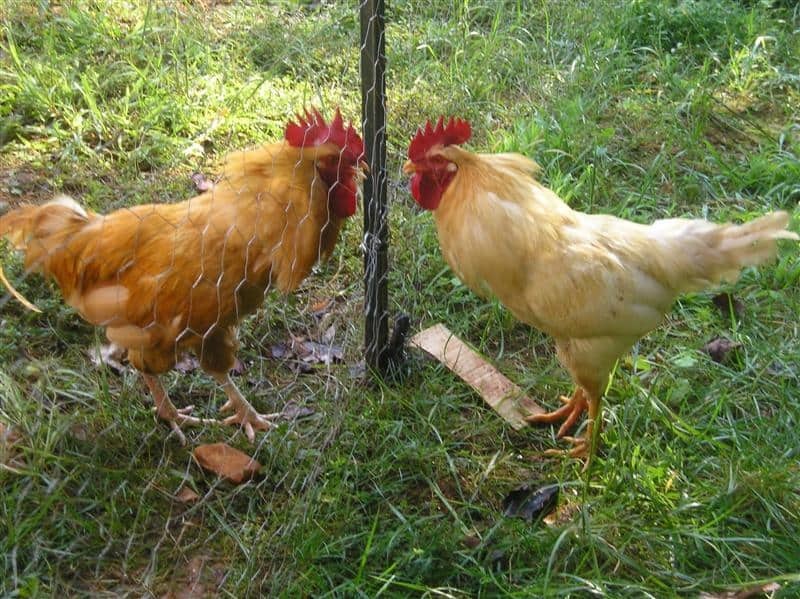 Believe it or not, there are actually bugs that chickens won’t eat. And please don’t feed them stinging caterpillars. I did that once and instantly regretted it. The chicken lived, but it didn’t look like it was pleasant going down. Another way to bring protein directly to your hens is to place a wooden board or a large piece of cardboard on the ground in the chicken run and leave it there for several weeks through a few good rains. Over time lots of decomposing bugs and earthworms will come up under the surface of the board to begin their work of breaking it down. Call your hens over to the board and turn it over quickly. You should see a plethora of cockroaches, pill bugs (roly polies), worms, maybe a few crickets, and who knows what else. Your hens will enjoy a free, nutritious meal. Put the board back down and repeat the process. You might also try growing black soldier fly larva. 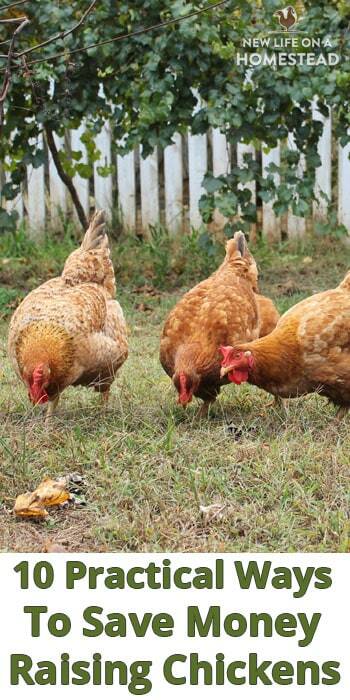 Toss garden pests to your hens and everyone benefits. Except for the unfortunate bugs, of course. They get reincarnated into eggs. 4. Eat eggs like the pioneers. For the longest time I was baffled by how the pioneers were able to feed their chickens without driving down to the local farm and feed store to buy laying mash. What the heck did they feed their chickens so they’d consistently lay?? I searched everywhere for this secret homemade laying mash recipe. I did find a few (modern) recipes. But none that I could apply practically (or cheaply!) on my homestead. And then I read something somewhere that was a revelation to me. The pioneers ate seasonably. Not just in produce, but in animal by-products as well. They didn’t force their hens to lay at top production year-round. They simply let them forage, fed them scraps, and occasionally tossed them some dried corn- and collected whatever eggs resulted. They didn’t try to get a dozen eggs a day out of a dozen hens. They just ate what they got. Likely they had an abundance during late spring and throughout the summer months, and very little throughout late fall and wintertime. If they were lucky they might have a supply of stored eggs to rely on during the slow months. If you want to raise laying hens on the cheap you’re gonna have to reign back your expectations and be happy with what you get. If you want eggs every day from every hen you own, it’s gonna cost you. Probably more than what you could buy them for at the store. 5. Don’t invest a lot of money in your setup. Honestly, chickens will be happy with a simple roof over their heads. I know it can be tempting to buy a super cute Amish built coop, or construct a fancy enclosure like the one you saw on Pinterest. But there really is no need to break the bank in order to house your flock. Try not to get swept up in impressing people, and keep it cheap. You can easily build a chicken coop for free using scrap materials if you’re resourceful and creative. Our first chicken “coop” was a large rabbit hutch we got for free from Craigslist. Our current coop was built out of pallets and scrap materials we picked up over time. Keep an eye out for old windows and doors, used metal roofing, and scrap lumber. Design your coop around the materials you have instead of buying materials to fit the design you want. The interior of the coop can just as easily be built from scrap materials. Nesting boxes can be made from scrap wood, buckets, crates, bins, and old drawers. Roosts can be made of branches collected from nearby trees. Bedding can be composed of dry grass clippings, leaves, wood chips, old hay… stuff you find naturally and for free. There’s absolutely no reason you’d have to spend a bunch of money outfitting your coop. This has been a big one for us. We’ve wasted a ton of money feeding a flock of meat birds for months and months past their recommended butchering age because, honestly, we were not looking forward to the butchering process. There was always something else we’d rather get done. But every week we kept them alive was more money down the drain. Those chickens ended up costing us more per bird in feed than what it would have cost us to purchase whole organic chickens from the grocery store. Especially since we were buying organic, non-gmo feed. Not such a great deal to raise our own meat after all. Procrastination is going to cost you. 7. Cull old laying hens. There will come a time when your hens are no longer producing well (typically after 2 years of laying), and you’ll need to cull them out in order to make the most of the resources you’re providing. The longer you keep your hens the more they’re going to cost you overall. Unless you just want to keep your hens for pets and don’t really care about the cost/return aspect, at some point you’ll have to cull the older hens to make way for new, younger layers. This could mean you put old hens in a stew, or if you can’t handle that you can give them away. There’s no shame in not wanting to butcher. We’ve given plenty of chickens away because we didn’t want to/have time to butcher them. Or if you don’t care if they’re butchered but you don’t want to do it yourself, you can always sell them for a few bucks to somebody who doesn’t mind doing the work. It’s good practice to rotate your flock each year so that you always have new layers coming in and old ones going out. This will ensure that your expenses are matched by production. You may even have an excess of eggs/meat that you can sell to help offset your feed costs. Bottom line. Old hens will end up costing more than they can return. Good flock management is key to staying in the green. 8. You only need one fella. Whether you order a straight run of mail order chicks or you hatch them out at home, inevitably you’re going to end up with more than one rooster at some point in your homesteading career. If you have more than one rooster you have one money-wise decision to make. Get rid of it. You can raise it until it’s big enough to butcher and put it in a pot. You can list it for free on Craigslist and let somebody else figure out what to do with it. Or you can take it to an auction and sell it. Eventually the roosters will fight each other to the death anyways (even through a fence! ), which is just sad and unnecessary. The sooner you make a decision the better. There’s only one reason you would want to keep more than one rooster, and that’s if you’re a breeder who needs to keep the lines pure. In this case you’ll keep the roosters far away from each other so no fighting will occur. You might consider introducing a new rooster to your flock every few years in order to keep the gene pool fresh if you’re hatching your own chicks. Inbreeding is generally okay with chickens, but I’m not sure how that will affect your flock through several generations. Remember, every day that you feed an extra mouth that isn’t producing something of value for your homestead is money going down the drain. If you really want to have as little money invested in your flock as possible, you’ll want to hatch chicks naturally rather than buying them year after year. Even hatching chicks in an incubator is an investment of both dollars and time. The absolute easiest and cheapest way to increase your flock (or to rotate in fresh layers) is to allow a broody hen to raise them for you. Some breeds are better than others for going broody. We’ve had good luck with Black Giants, Orpingtons, and Silkies. Do some research before selecting the breed of chickens you’d like to go with. Are they known for going broody? Not only will it save you money to let a hen sit on a clutch of eggs to hatch, you’ll also have much heartier and healthier chicks than if you were to order them from a hatchery. Mother hens have a knack for teaching their babies how to scratch and forage as soon as they leave the nest (at about three days old), so the chicks learn very early on how to find important food. We’ve noticed that our mail order chicks take much, much longer to learn to forage. They’re even leery of eating scraps thrown to them because they just aren’t sure what’s okay to eat and what isn’t (until the bravest/most curious of the group steps up and takes the first experimental bite). Alternatively, mother hens cluck with delight when they find something yummy for their babies to eat, and the little ones quickly flock to her side to taste what she’s found for them. 10. 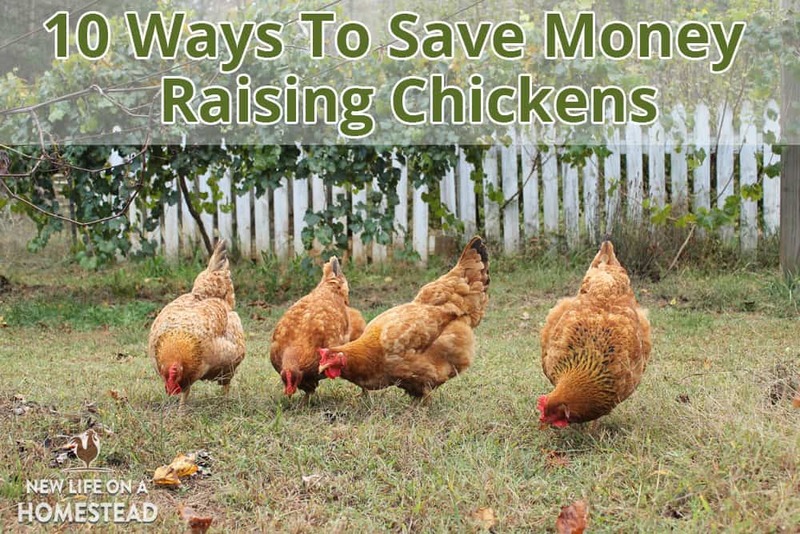 Raise chickens without buying grain at all. This is a pretty fascinating concept that I’d love to implement on my own homestead. Basically these farmers began collecting manure, food waste, and garden leftovers and built compost piles to free range their chickens on exclusively. The chickens have thrived on this diet and the farmers have enjoyed even better eggs and meat from their flocks. Don’t make the same mistakes we did. For many of us, raising backyard chickens for eggs and/or meat is supposed to be a way to eat healthier while also saving money on our food bill. If you aren’t careful though, you can easily spend way more than expected. Keep accurate records of all of your expenses as well as how much food your homestead has produced each week. Take note of what works and what doesn’t so that you can constantly be improving your productivity level. This can be an expensive hobby if you aren’t diligent. 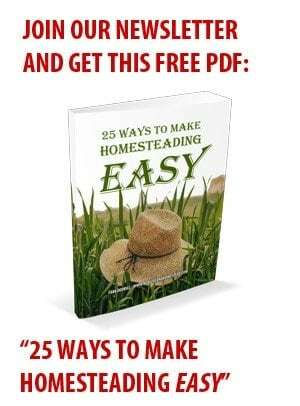 It can also be truly rewarding and bring incredible joy to the prudent homesteader. Planting Blueberry Bushes, And Our New Patch! 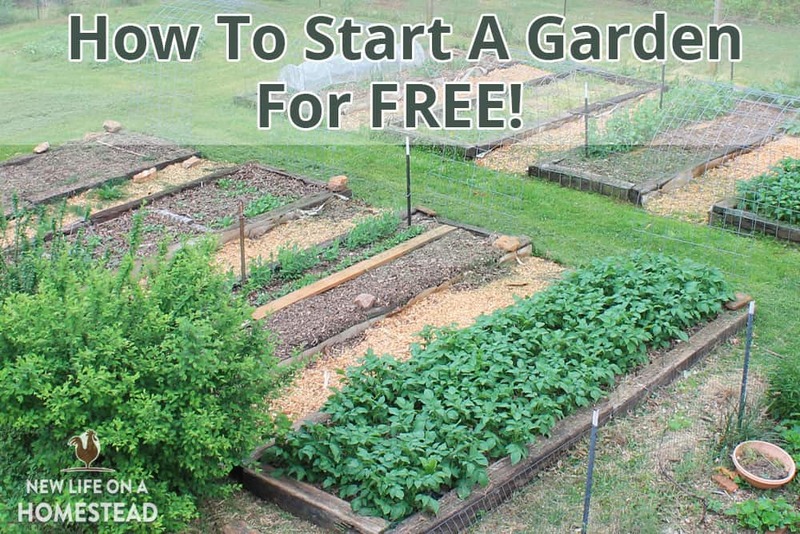 How To Start A Garden For FREE! Plants, Pots, Soil, and More. We buy the wheat “waste” from farmers when they clean their wheat. Because we have extra milk I frequently soak the wheat in milk & feed it. They get extra calcium (I seldom have to feed oyster shell), the wheat is soft & they love it! Also if the wheat gets wet it doesn’t spoil. That’s a great connection you have with the farmer, Karen. Awesome! I’m around the corner from a brewer’s outlet. Would spent grain (from beermaking) work as well? I used to have a flock of 18 birds &over the years they slowly dwindeled down to zero . And it’s been 3 years now w/no eggs .The cost of eggs has gone up to app$5 a dozen for good organic free range. So after reading the article I have decided to get some more birds ,because I have the coop& experience it would be stupid not to! I do not feed layer to my chickens but feed whole wheat , house scrapes and alfalfa hay. They love the hay. I have good hay for my goats that is real leafy and they don’t waste any excepts a few stems. I even give it to my 6 wk old chicks and they love it. Of course the oyster shell is very important. Mine get it free choice and of course gravel to chew up the alfalfa. what about growing sunflowers and giving them the seeds? Great article. I too was wondering how the pioneers fed their chickens. I have a scrap pan that stays in my kitchen. We dump everything in their, even left over cat food. They love cat food. Ours free range from late August til mid April. If we eat fresh veggies, they have to stay penned. However we give them cut grass clippings, buckets of plantain I pick, and all veggie scraps from the garden. I even cook and freeze squash and zucchini scraps or some that have grown too big too fast and make frozen veggie pops for them. They love them and it helps to cool them down on really hot summer days. Sometimes at yard sales, I will find boxes or bags of noodles or rice so I cook those in winter months and feed it to them to warm them up. I try a lot of stuff like you, but because I sell my eggs, I need them to lay. So feed is essential. While I don’t make any money, they do manage to pay for their feed in egg sold. Thanks for the article. Lucky birds! I know you feed them well, Elizabeth! Thank you for this this was one of the best written most formative feedback type articles I have read recently homesteading husbandry of chickens. Content was interesting and very informative with respect to the business side in particular. Thank you. I’m so glad you found it helpful, Timothy. I wish I’d had this info when I was just starting out. I agree – very well done article with real life experiences and advice!